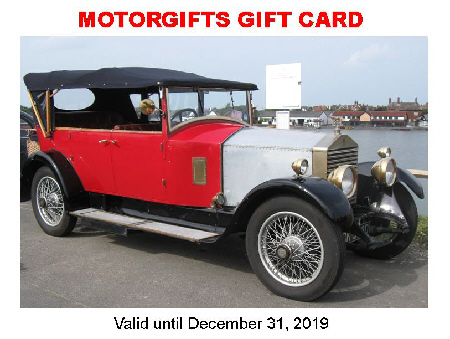 Give someone special a dedicated Motorgifts gift card so they can choose whatever they want to buy and buy it whenever they want. (Available for both online and telephone orders). Simply click on the relevant box below and then complete the rest of your order. You will then receive an email from our customer services team within 24 hours with a unique voucher code which will be valid until December 31st, 2019. We will also send you the attractive gift card above in the mail so you can give it/send it to your chosen recipient personally. It also includes space inside for you to add your own personal message.